Ashburn Allergy, PLLC (Ashburn) - Book Appointment Online! 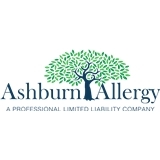 Welcome to Ashburn Allergy, PLLC. We are a pediatric and adult allergy, asthma, and immunology clinic located in the heart of Loudoun County. We strive to provide the most advanced and comprehensive evaluation and treatment for your entire family. We welcome patients of all ages. Here at Ashburn Allergy, every patient is cared for like family and we want you to be involved in your care and well-being. We use the most current evidence-based medical guidelines and clinically proven state of the art testing and evaluation methods to develop a personalized treatment and care plan individualized to each patient's needs.